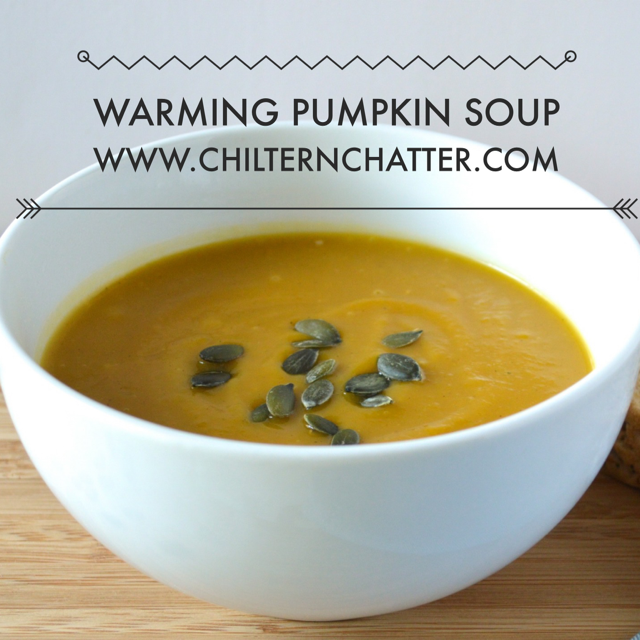 A lovely autumnal soup that can be made with pumpkin or squash. You can make this ahead of time and reheat later. 1. Preheat oven to 190 (fan). Toss the pumpkin / squash with 2 tbsp oil and the vinegar, cayenne pepper and garlic. Spread over a baking tray and roast for 35 mins or so, turning half way through. 2. Meanwhile heat 1 tbsp oil in a saucepan. Roughly chop the leak and sweat with the celery over a gentle heat for 15 minutes until softened.Add the chilli, butter beans and rosemary sprigs. Sweat for a couple more minutes then tip int he roasted squash and squeeze in the flesh fromthe roasted garlic cloves. 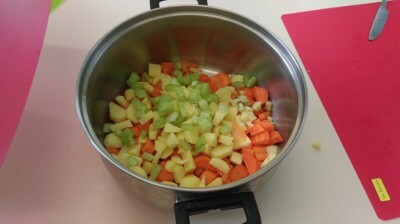 Add the stock and 500ml water, bring to the boil and simmer gently for 10 minutes. 3. Remove and discard the rosemary sprigs from the soup then blitz with the creme fraiche and lemon juice and season. I made this last week for the first time and it was delicious. I made my soup with butternut squash and omitted the red chilli on this occasion as I was making it for someone that isnt great with spicy food. It’s easy to make and perfect for freezing if you want to make it ahead of time and defrost. I just heated it up very slowly on a low heat. A lovely warming soup that’s perfect for the colder autumn nights, oh and healthy too 🙂 Definitely one that I will keep on making.